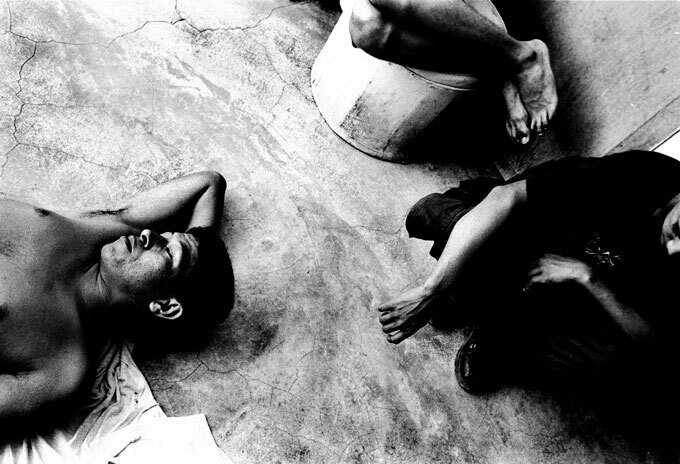 Illegal Immigrants rest at the Casa Migrantes, a Catholic safe house in Tapachula Mexico near the Guatemala border. These men (left and top) were robbed of everything -- including shirt and shoes. They planned to continue their journey north to the US.